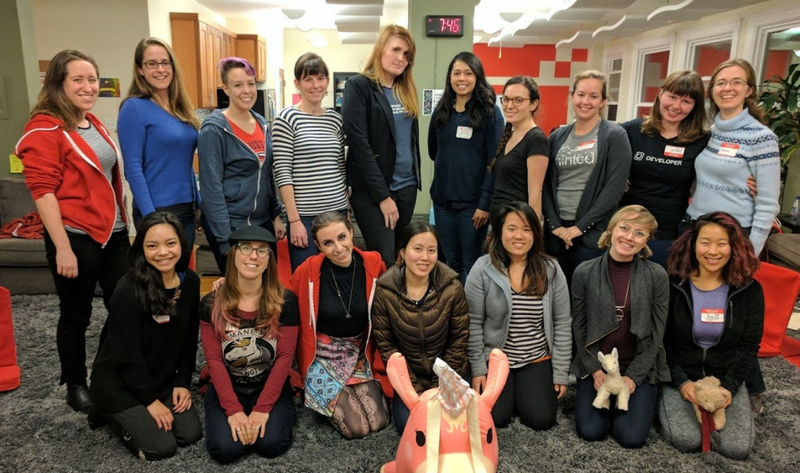 This year marked a number of milestones for Hackbright. We celebrated our five year anniversary, crossed the threshold of over 600 graduates, and launched our alumnae Ambassadors Program. Our Ambassadors Program came to fruition as alumnae looked for ways to stay involved with Hackbright after graduation – sharing their experiences during the program and entering the tech world as engineers from non-traditional backgrounds. 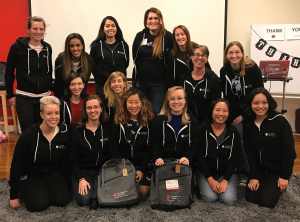 Our inaugural group of alumnae Ambassadors volunteer to serve as representatives of Hackbright and women in tech to the greater community throughout the year. They are role models for other women considering a career in engineering, and are pivotal in Hackbright’s mission to #changetheratio of women in tech. With over 600 graduates, Hackbright’s alumnae community is growing strong. We love to share the stories of our alumnae: unique and outstanding women of varying backgrounds embarking on their own unique career path. With a formal program, we have now brought together some of those outstanding women to tell their experiences and provide guidance for current students, other alumnae, and those considering a change in career. I like being an Ambassador because I want to give back to other women who are in a place I used to be: frustrated with the current work environment, wanting a richer and more logic-based experience at work. Hackbright has easily been the best thing I’ve done for myself professionally. I am working at a job I love, a feeling I didn’t think I’d ever have about my profession. I want to help people that are like me learn about their options, like Hackbright, and ultimately have more fulfilling careers. We are honored to have 24 alumnae in our inaugural Ambassadors Program, most of whom are Software Engineers, but also include Engineering Managers, Security Consultants, and Developer Evangelists. In 2017, our Ambassadors have been involved with 70+ opportunities ranging from chatting with prospective and admitted students, speaking at conferences such as DeveloperWeek NY and Droidcon, being guest speakers for panel events, and hosting tech talks. Companies represented by our Ambassadors include Eventbrite, Dropbox, Google, Bloomberg LP, Sentry, Yelp, Kintone, Change Catalyst, and more. To celebrate our community and our first year of the program, we wrapped up the year with an Ambassadors Thank You event. We shared highlights of 2017, sat down for a fireside chat with our CEO, Alice Hill, and most of all, spent time mingling with fellow Ambassadors and alumnae. Hackbright changed my life and made me the person I am today. Being an Ambassador lets me give back by letting me tell my story to prospective students, current students, and those who may not know about the program. Interested in learning more? Check out our upcoming 12-week full-time or 24-week part-time Software Engineering Programs.